Occasionally, hiring managers skip background checks on job applicants when they are under tight deadlines or the candidate and the company seem like a match made in heaven. In these situations, human resource professionals might spend a few minutes checking up on the applicant online, conducting a makeshift background check. However, there are a number of reasons why employers should always trust a verified third-party screening agency to dig into candidate histories. The following four reasons are just the tip of the iceberg. The most important reason why employers should always gather background information through consumer reporting agencies is so their hiring processes are in compliance with the Fair Credit Reporting Act. To protect job seekers, the law mandates that any background information that influences hiring decisions must come from a CRA, otherwise the company could end up in legal trouble. Hiring managers should review the regulations set by the FCRA before they start Googling job seekers and, when in doubt, turn to a trusted CRA for help navigating the red tape surrounding background screening. "Many new hire horror stories are caused by embellished resumes and incomplete background checks." Skipping formal background screening may not seem like a big deal when a job seeker seems trustworthy and a great fit for the position, but the judgment of hiring managers is not infallible. In fact, the Internet is riddled with new hire horror stories, where candidates fell short of expectations thanks to embellished resumes or falsified interviews. CareerBuilder shared one close call that a hiring manager experienced. "I was ready to hire the perfect candidate when I decided to run a background check," the manager explained to CareerBuilder. "We don't normally run one for every position but this position had access to cash so I'd required it. The letters of recommendations from previous employers were actually letterhead [the applicant] stole from the companies … Digging deeper, we found at a previous job in another city he was told to resign his position or he would be turned over to the police for theft." This story, and others like it, show how even the most convincing candidates are not always honest when it comes to their employment and criminal histories. When they're not subject to a professional background check, individuals can end up in positions they are unqualified for and pose a threat to the company's integrity and reputation. If they chose to rely solely on Internet searches, hiring managers would probably have a tough time collecting accurate information on candidates named James Smith. According to information from the U.S. Census, this is the most common first and last name combination for American men, with more than 38,000 individuals using the name. Topping the list of most used names for women is Maria Garcia, with more than 32,000 ladies responding to the identifier. Even if HR departments are considering candidates with more unique names, there's no guarantee that an unofficial or makeshift background check will yield information on the correct individual. Experts have noted that name mix-ups often happen at online screening companies that boast free background checks. "People are being denied employment because these companies are returning reports about the wrong person," Persis Yu, staff attorney at the National Consumer Law Center, explained to NBC's TODAY show. It is better for employers to designate the proper time and resources for formal background screening than to gather inaccurate information about potential employees. CRAs that are accredited by the National Association of Professional Background Screeners are screened for their accuracy and make good partners for companies that frequently need consumer reports. 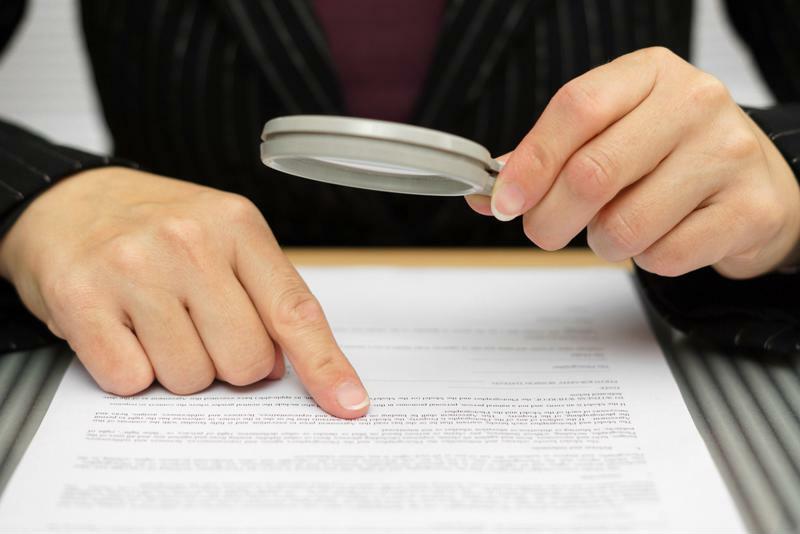 Comprehensive background checks often include credit history reports. Court information is technically public record, so hiring managers can likely unearth a candidate's criminal history online if they know where to look. However, most professional background checks include credit history information, which is not easily accessible to Internet browsers. While these documents may not seem blatantly helpful when it comes to assessing a candidate's professionalism and fit for a job opening, credit history can reveal a lot about a person's financial aptitude and sense of responsibility. Hiring managers can use these consumer reports to determine whether job seekers would be trustworthy when handling company finances and if they have good sense when it comes to spending money. These are both important characteristics for high-level employees. "Companies should inform job seekers if they plan to look at social media profiles." While HR professionals should use a CRA to collect consumer reports on potential employees, that doesn't mean they can't turn to the Internet for supplementary information. Many employers have begun searching for applicants' social media profiles to look for any red flags that might reflect badly on the company. However, experts warn that only certain information can be gathered from social sites. "It is generally not, per se, wrongful or otherwise illegal to research an applicant's online social media profiles, but there are specific obligations if the investigation involves an applicant's financial and credit history, driver's license verification and related information that may fall under the FCRA," attorney Jason Shinn of E-Business Counsel explained to Business Insider. Companies that plan to investigate social media sites should have written policies regarding what information will be sought and how it will be used. Having candidates read and agree to these procedures will help to protect HR in the event of an adverse hiring action. Hiring is the most important thing you do. Trust it to Global HR Research. Find out more by calling 1-800-790-1205 or visiting the GHRR website today.